Kilned lager-style malt made from two-row. 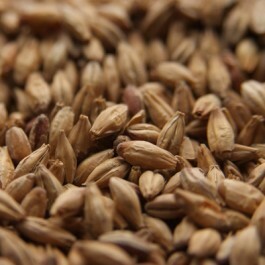 Usually used as specialty malt, it has a high enzyme content, and can constitute up to 100% of the grist. Produces robust malt characteristics, including full body, amber color, and smooth mouthfeel. The flavor is strongly malty and the rich aroma has notes of light caramel, honey, and bread. Munich malt is typically used in dark lagers and ales, especially Munich-style lagers, various bock styles, and German festival beers like Mrzenbier, Festbier, and Oktoberfest.